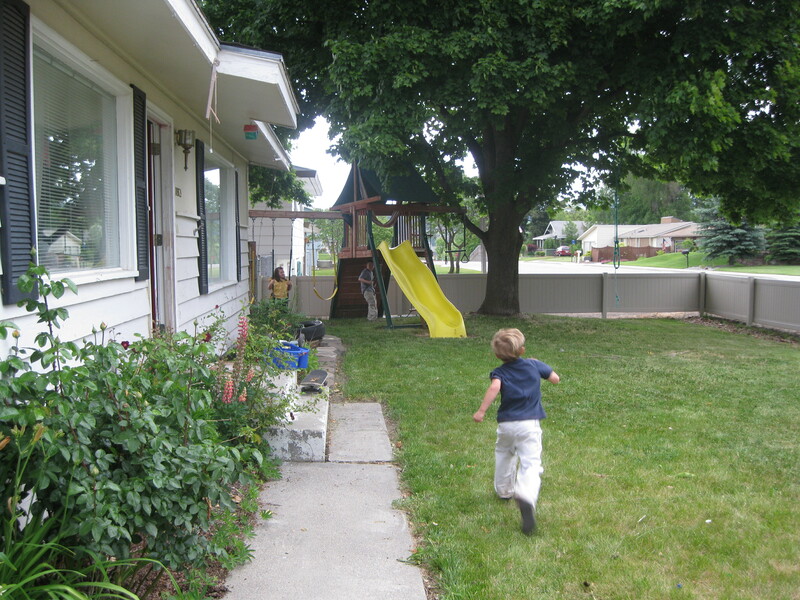 While we all sweated in the uncharacteristic muggy heat and glanced at the imposing clouds threatening thunder and large rain, the kids played in the yard. I think Washington is trying to get me ready for Virginia. It’s been ridiculously humid. And to top a highly productive and satisfying afternoon, when I check the mailbox, I found a gift from the lovely and wonderful Hairyshoefairy (neither hairy, nor a shoe)- I have more graduation announcements now than I do friends! 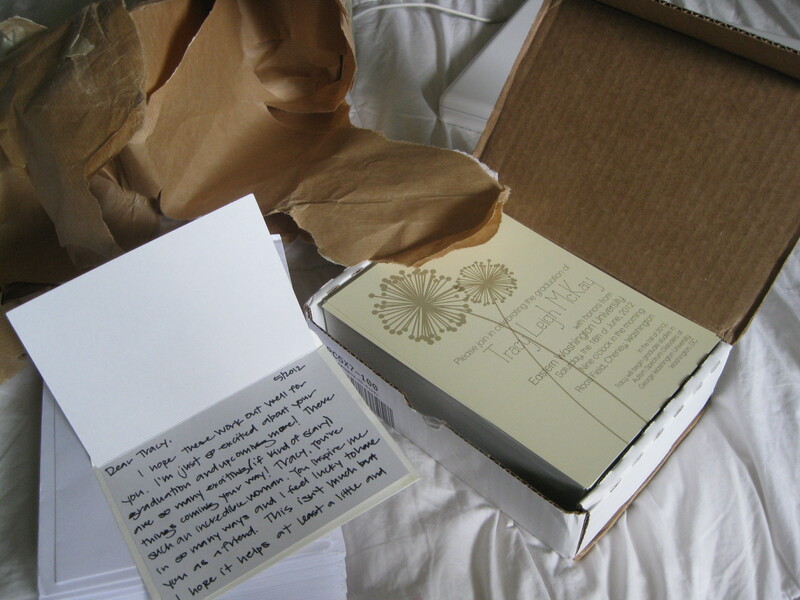 If anyone would like one, please email me and I’d be happy to pop one in the snail mail. She did a positively lovely job on them, and I was nearly in tears at her thoughtfulness. I know some freaking amazing women. I’m gonna go ahead and chalk this day up in the “win” column. Wow!! Such awesome friends!! …and wonderful announcements..I LOVE that she used the dandelion 🙂 Congrats on finally making it to graduation and good luck with everything !! Please …please blog when you get settled, I feel kind of invested in finding out how the rest of your story unfolds 🙂 Good luck! 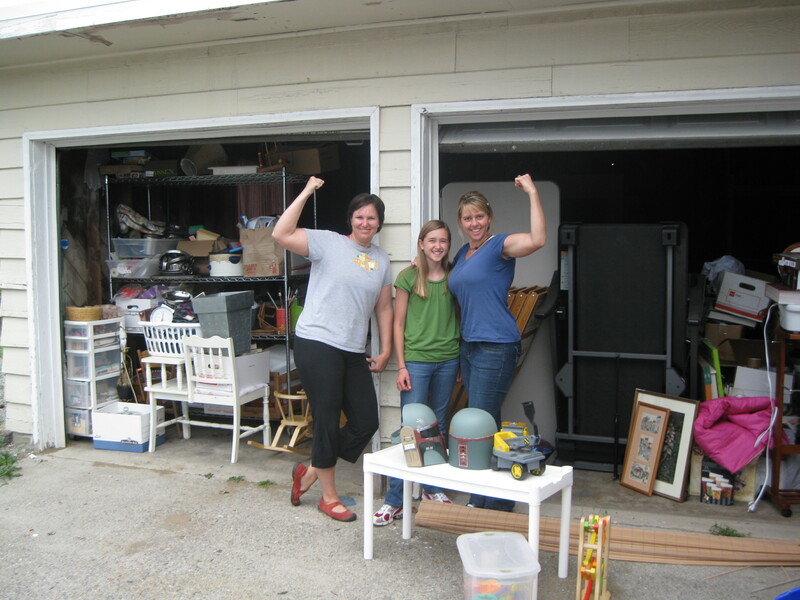 Buff friends, organized garage, and totally awesome announcements? Yeah, chickie, you do have some freaking amazing friends. 🙂 I adore ‘win’ days. HSF is definitely the loveliest person on the planet. Don’t worry though, you’re not far behind! FANTASTIC!!! I am so glad you have friends doing what I would do if I were closer. Yay for amazing friends and recognizing tender mercies! Love your friends! And I love the announcements. I’m surprised Michelle didn’t ask for an announcement, but we’d love to get one in the mail. We’ll send you an e-mail with our new address.